Each year Proctor athletes go on to play a variety of sports at the collegiate level. The Class of 2015 was no exception, as this article highlights. Fallon Adair '15 has made the headlines a number of times for the William Smith field hockey team, most recently after netting two second half goals in the Herons 2-1 win over Skidmore to secure their 12th LIberty League regular season title and home field advantage for the conference tournament. While Proctor's varsity field hockey team graduated a number of key players off last year's NEPSAC runner up squad, this year's team continues to play well, securing a 2-1 win over Dana Hall School Friday night and a 1-1 tie with Brewster Academy Saturday afternoon. The team looks to conitnue its positive momentum heading into the final two weeks of the regular season. Field hockey was not the only team who had a stellar weekend, however. 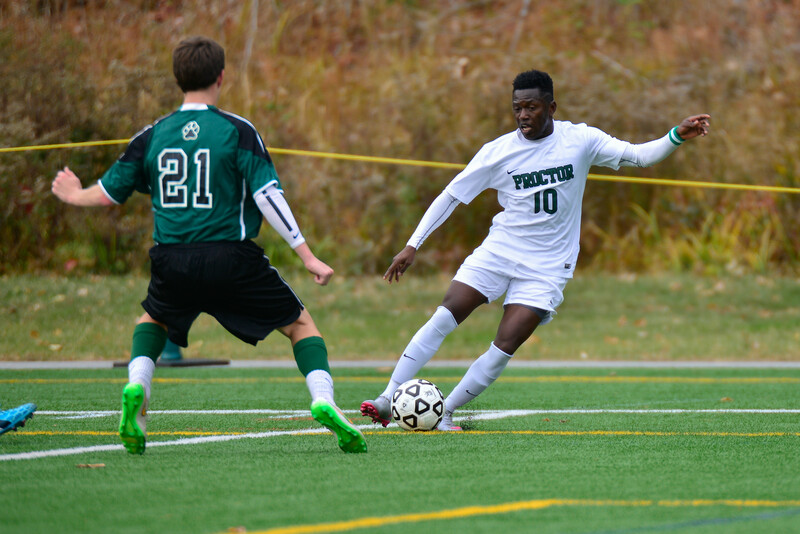 Proctor's boys' varsity soccer team shook off a few subpar performances from the week prior to shock league leader Brewster Academy 1-0 Friday night under the lights. Senior goal keeper Max Barrett came up huge in net late in the game for the Hornets, while Tate Singleton '17 scored the only goal of the match off a free kick from Cole Joslin '18 in the 25th minute. The boys then came back Saturday to beat Dexter School 6-1 and look to build off the weekend's success when they travel to Holderness School on Wednesday. Proctor's Varsity Football team also improved to 4-1 on the season with a convincing 21-0 win over Hebron Academy. For complete scores and highlights from the weekend, visit the athletics homepage.